Becoming a family caregiver to your senior loved one often happens slowly. It’s not usually a position that is planned or sought out. It might start with simply taking over your parents’ yardwork by cutting their grass and weeding their flower beds. In the winter, you shovel their walk. Next, you accompany them to the doctor, grocery store, and the pharmacy. Then you remind them to take their medicine. You call or stop in every day. While you are there you clean the bathroom or wash the dishes in the sink. Before you know it, you are running two households, your own and your senior loved one’s. You may be the only family member nearby so all the responsibility and work has fallen on your shoulders. The emotional stress of family caregiving comes on slowly, too. At first, the overwhelmed shows up only in your schedule, and your time, but eventually it begins to break you internally. Your patience is used up. You find yourself not caring anymore about things you used to care about. When you are driving in your car, you daydream about driving away from it all without caring how everyone would manage without you. How can you find relief from the emotional stress of being a family caregiver? Ask for help. Many family caregivers like to be the hero, the one that comes to everyone’s rescue. But “no man is an island.” You can still be the hero by lining up a group of helpers. Does your senior loved one have friends or neighbors who could take just one or two responsibilities off your plate? Ask for help in your own home. Many family caregivers have free workers available to them in the form of their children. Teach your young teens to wash the laundry or clean a bathroom. It takes time to teach them in the beginning, but it will be worth it. Ask a friend to help drive your kids to their games or activities. See a counselor. A counselor is a safe place to work through your stresses and emotions while watching the decline of your parents or senior loved one. There is no time in your daily life to work through those thoughts and feelings. 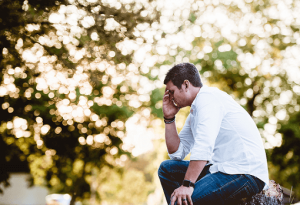 Making an appointment with a caring and compassionate counselor can give you the time to work through your emotional stress. Make time for rest. Schedule an appointment with yourself for a nap, a bath, or time with your own family at home. Keep the appointment like you would any doctor’s appointment or work meeting! 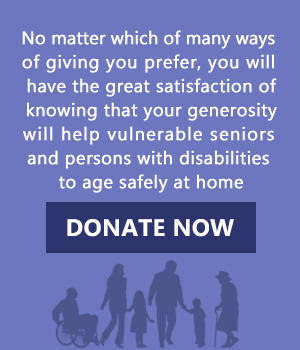 Enlist the help of a homecare caregiver. At some point, the care may be too much even if you have friends and family pitch in. You may not know what is best for your loved one’s care when medical issues become more complicated or family members become uncooperative. When you invite Community Care of the Northeast to help, you will receive a case manager that can handle all the aspects of care. With thoroughness and kindness, she will pinpoint the needs and the best way to meet them. 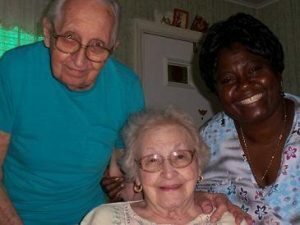 The case manager has wisdom from years of homecare caregiving and treats each patient like it was their own loved one. With her medical background, she can give you caregiving guidance since her mind is not clouded with fatigue and stress. Call Community Care of the Northeast 215-335-4416 to get support and relief from the stress of family caregiving.